Forum kicks off on December 9. 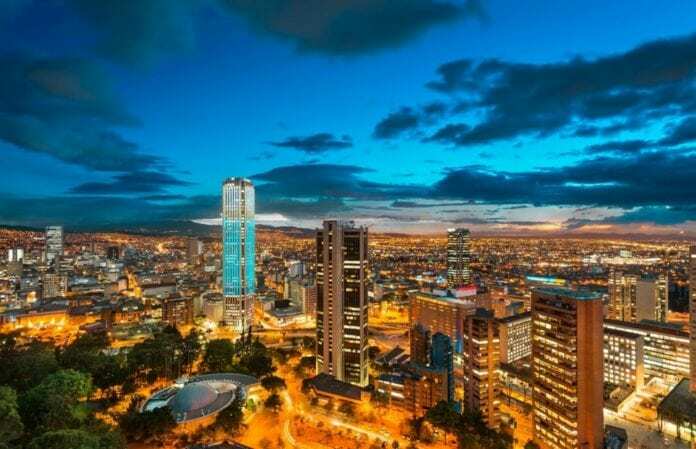 Leaders will hold talks, workshops, and programs while also learning about the region and culture of Latin America at the BestCities Global Forum to be held in Bogota next month. Hosted by the Greater Bogotá Convention Bureau (GBCB) along with the BestCities Global Alliance, the Forum will explore how harnessing collaboration helps build a global community. The forum will take place over four days, kicking off on December 9 at the Grand Hyatt Bogotá then continuing at the Ágora Bogotá Convention Centre, just two miles from the city’s historic center. This year’s theme, Power of the People, celebrates the unique role that people play in making significant changes and progressions in the meetings and events industry. Over the past two years, the BestCities Global Forum has looked at the impact of legacy and the importance of building cultural bridges, however this year more than ever, people will be at the core of the message. The Bogotá sessions will give delegates the opportunity to delve into the workings of a global destination alliance and discover the ways in which this can benefit their associations and events. From gaining access to a global network and transparent knowledge-sharing between partner cities, the four-day session will inspire associations to create bigger, better, more impactful meetings. Furthermore, they will have invaluable networking opportunities with local stakeholders along with the 12 BestCities partner destinations – Berlin, Bogotá, Cape Town, Copenhagen, Dubai, Edinburgh, Houston, Madrid, Melbourne, Singapore, Tokyo and Vancouver, unlocking their collective knowledge. The third BestCities Global Forum builds on the 100% positive delegate feedback ratings from the two previous forums in Dubai 2016 and Tokyo 2017; and will see delegates take advantage of this year’s host destination as they experience Bogotá as a local. Various cultural activities have been incorporated into the program to give attendees the opportunity to explore Bogotá’s unique and intriguing heritage. Optional visits to venues will also be available to allow participants the opportunity to gather insights on the city and its institutions. Paul Vallee, Managing Director of BestCities Global Alliance, said: “We work in a field where people are at the heart of everything we do – they are the essence of this industry, and we’re thrilled to be welcoming such a prestigious and diverse range of associations and delegates to this year’s BestCities Global Forum in Bogotá. “The BestCities Global Forum is our gold-star event and will not only showcase what the iconic city of Bogotá has to offer, but will present delegates with unique and engaging seminars and workshops that will truly expand their skills that they’ll be able to apply directly to their day-to day work. As well as a fantastic range of great minds coming together to knowledge share, delegates will have a chance to learn from peers and widen their network. Jorge Mario Díaz, President of the Board of Greater Bogotá Convention Bureau said: “The whole city is excited to hold this year´s Global Forum. Everyone is busy preparing and putting everything they can behind it to make the Forum memorable and educational. Returning for a second year, Sean Blair, owner of ProMeet, will facilitate this year’s Forum. As per previous years, delegates will attend an Ambassador Dinner to meet with peers, local ambassadors and key contacts giving them an opportunity to build relationship and grow their network across the world. The popular City Café meetings and social networking opportunity returns again with all 12 of the BestCities’ partners in attendance. Rick Antonson an “accidental executive” and former CEO of Tourism Vancouver. Having travelled the world, written five books and played his part in some of Canada’s most renowned accomplishments, Rick will bring his path less followed experiences to the programme while discussing his time at Tourism Vancouver. Lina Tangarife, Director of Social Responsibility at the Social Alliance of Uniandinos. An expert in strategic management of Civil Society Organizations, she has utilised the power of the people by strengthening volunteering within companies, government and non-governmental organisations. Neyder Culchac, a Young Leader. From a region called Putumayo in south-west Colombia, Neyder grew up surrounded by conflict but he was determined to not let this hold him back from making positive change. Creating an initiative that transformed the lives of 480 families within his community, Neyder will share his life story and educate delegates on the power of determination. Andrés Gómez, an expert in Communications. With two decades of experience in business consulting in communications, Andrés focuses on issues like crisis management, mergers, public affairs and corporate matters. Starting out as a journalist, he now plans, developing and executes communications strategies for companies. For more information on BestCities and to keep up to date with the latest news coming out of the BestCities Global Forum in the coming weeks at bestcities.net.